Venture deep into the odd forest and encounter some of the strangest beings in existence. 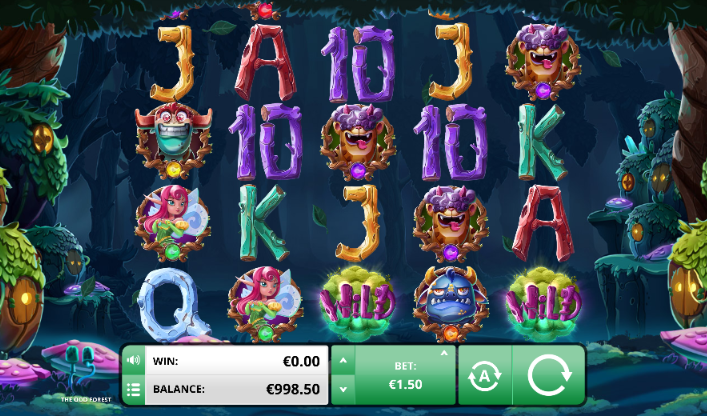 The odd forest is a perplexing place to call home, it’s full of enchanted goblins and strange beasts that are hellbent on taking you on a far out journey into the weird underworld of free spins and enormous cash rewards when you play 3D slots. Spin and deposit today to see what it's all about. Foxium are fairly new contenders in the online slot market, however what they lack in industry longevity they certainly do not miss in game quality. Foxium are building up quite a significant reputation for bringing out video slots that features immersive storylines, unique bonus rounds and ultra-modern graphics. You may have seen some of their games before on Wizardslots . Check out Wizard Slots and play Bumper Crop and Lost Riches of Amazon today for your Foxium fix. Navigate your way deep into a magical forest that houses some of the weirdest and wonderful creatures this side of slot history. 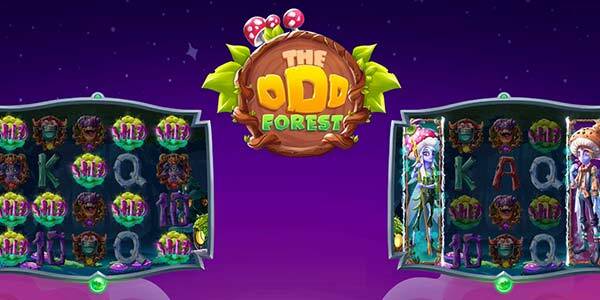 The Odd Forest is a standard 5 reel slot game that boasts a whopping 50 paylines for you to spin through and hopefully gain some humongous wins. The more paylines the better for you slot gamers, this means that there are more symbol combinations for you to unlock, and more combinations only mean one thing; more winnings. Get your backpack ready as you play one of the top online slot games of today! The Woodland setting is a common visitation for slot developers and for good reason, gamers love them. The mystical elements of these sorts of games seem to act as an escape, and with the range of bonus rounds and free spins on offer, you can see why players continue to play the Odd Forest. At first glance, you will see a range of gurning goblins positioned across the reels. Don’t fret, these are your friends and will help you on your way to riches. The big returns come when you match 5 of the goblin symbols across the paylines. Matching these critters could see you multiply your stake anywhere been 70 and 125x your initial bet line. Five princess icons will multiply any stake by 500, and the Wild symbol will multiply it by an absolutely fantastic 500x your bet. Imagine the possibilities that can come your way in the Odd Forest. If that wasn’t alluring enough, there’s also a range of bonus Wild features that add an extra element of joy to gamers. Look out for the magical tree symbol to appear and you may be in with the chance of a huge amount of free spins. 14 free spins with no special wild. 7 free spins with a sticky wild that stays in place for the duration of the feature. 8 free spins with two expanding wilds on reel 1 and 5. 6 free spins with x2 wins and an extra wild added to the reels. Finally, we have the fairy bonus game, this is triggered by matching three fairy scatters anywhere across the reels. Once you venture into this side game you will be offered the chance to win a series of special prizes. The only thing standing in your way is a gigantic spider that is looking to put the poop in your party.